We had a really nice weekend, which ended with me being down for the count with a nasty head cold or flu bug. Really knocked me down though and I spent yesterday afternoon napping, all day in bed sleeping on and off and trying to recoup. Tonight instead of catching a movie and dinner, I am still curled up under a blanket hoping to feel better by tomorrow. 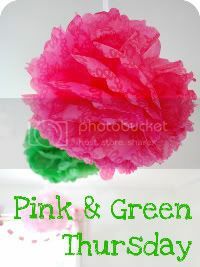 This week is a busy one, I am really hoping to feel better by tomorrow. Plans - Home recuperating on the couch - catching up on Revenge with the boy, LOVE that show! Plans - I am really hoping to feel better, I have been looking forward to seeing Lenny Kravitz with sister J for a while. Dinner - Out somewhere, not sure where yet. . .
Plans - We had to cancel last Friday, dinner and a show with the boys parents, due to his mother being sick, hoping to reschedule for this Friday. Plans - It is our 3rd Installment of Foodie Fest at our friend M's. Can't wait! Dinner - All of the nummy food that people make all day! Plans - No plans yet, probably clean the house and get ready for the week. We went to Costco this past weekend as well as Trader Joe's and picked up a few things for lunches and dinners. We had new fridge delivered for the basement on Friday, SO nice to have the normal freezer space again. We bought some tuna steaks, mahi mahi and salmon as well as two rotisserie chickens for quick dinners and to make a soup or two out of. Even some chicken enchiladas would be good. 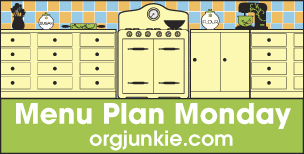 Looking for more meal plan ideas or recipes, check out the orgjunkie.